A Rinkya Blog: Richard Cheese on Tour! 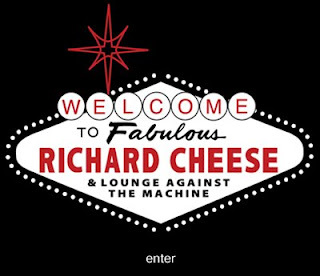 Your regularly scheduled Japan blog post is suspended to bring you an announcement of a great band on tour: Richard Cheese! Richard Cheese & Lounge Against the Machine play Phoenix Arizona at Celebrity Theater on June 7th, order tickets here! And for fans in New York, Washington, Chicago and San Diego, check out the tour dates here!